Election season is in full swing. There isn’t a day goes by where you don’t see Justin, Stephen, Thomas or Elizabeth promising some tax cut or infusion into the local economy at their latest whistle stop on the campaign trail. There are some very real, important issues this election—the looming recession, economic growth, health care, separatism, the environment. Today I want to address one of the greatest debates this country has ever seen: who has the best poutine. 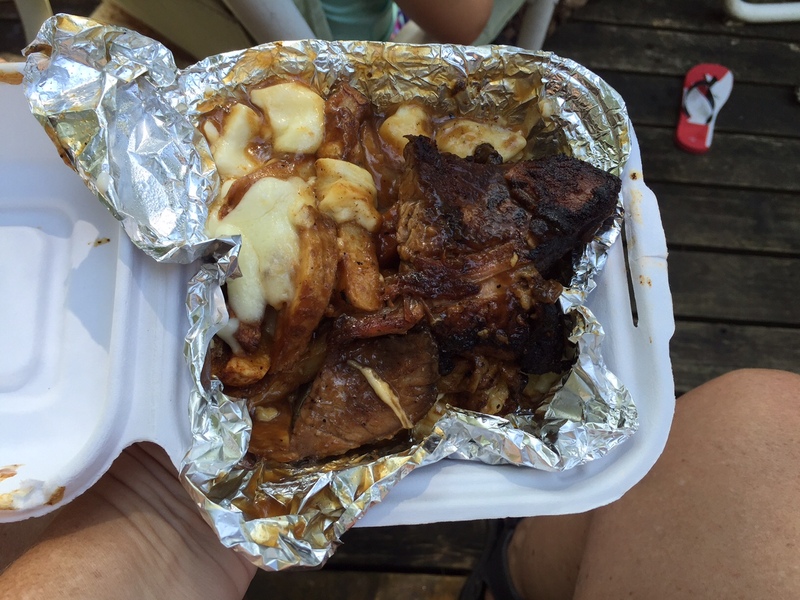 I discovered the answer to this question of national importance a few weeks ago when our friend Tony brought us the brisket poutine from The Big Smoke food truck on Highway 38 in Harrowsmith. It was poutine heaven. Huge white curds melting on crispy, perfectly-cooked fries with smoke-infused beef gravy dripping with flavour. The piece de resistance was huge chunks of tender Texan-style brisket that melted in your mouth. I inhaled it in minutes. This week’s #HappyAct is to take part in this national pastime and vote for your favourite poutine. Visit my new friends at The Big Smoke and tell me what you think. Trust me, you won’t be disappointed–and that’s one campaign promise you can count on. Here’s just something for fun. Find out your taste in men, based on how you like your poutine, from Buzzfeed. I got the lumbersexual bad boy— “a badass dude who has a majestic beard and makes homemade french fries using a manual potato slicer”. See what your taste cooks up!